This collaboration between film lovers produces a mobile application that makes video editing on mobile phones much more straightforward! 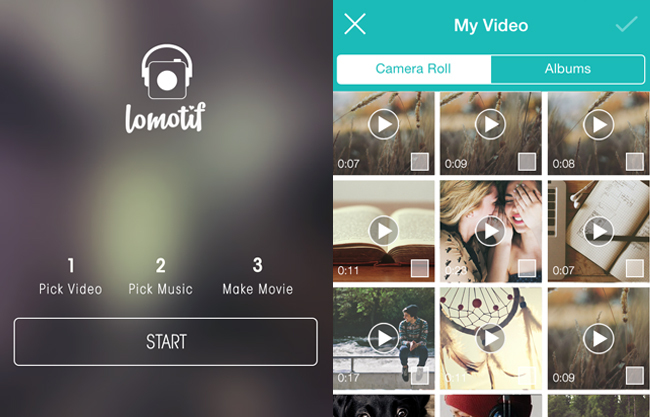 While mobile applications for editing phone-taken videos are climbing up the ranks in application stores, Lomotif gives users a brand new option. Also read: This Drone Flew Through a Fireworks Show. The Resulting Video is Spectacular. 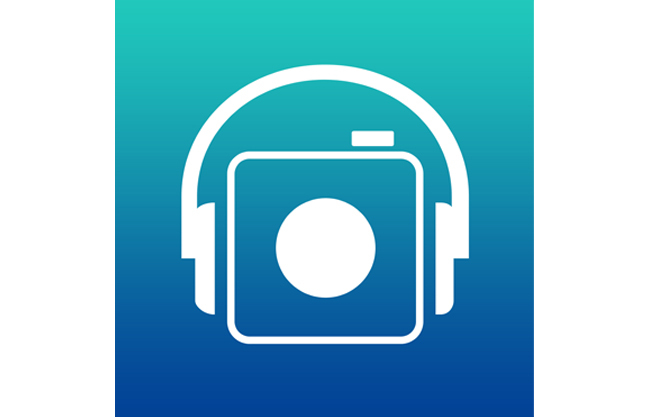 Soft-launched on June 21, 2014, Lomotif is an iPhone application that allows users to create a video from their stash of video clips; and also complement the video with any songs from the iTunes or from the Music application in the iPhone. Lomotif was co-founded by Singaporeans Paul Yang, 33, and Loh Xiu Hui; and Indian national Deepak Sharma who respectively have a background in videography. The development of the application was derived by their desire to make filming on phones more meaningful and videos more unique. The three co-founders and fellow member, Casey Law, 26, make the team of four behind Lomotif. The company is based in Singapore but the application was developed over a series of Skype calls, WhatsApp messages and emails, as Chief Technology Officer (an executive in charge of technological issues) Deepak Sharma, 36, is currently in India. Voila! Lomotif finally actualised after three months. The application’s name “Lomotif” was put together from the words “lo-fi” and “motif”. “Motif” refers to a recurring pattern of music and “lo-fi” simply means the lo-fidelity, or low quality videos taken on mobile phones. “…We eventually came up with the Lomotif music video format, which casual users seemed to really take to. They really like how their favourite songs transformed their videos,” she says. Active Instagram videographers would find this application useful because of the two main output formats it allows users to export the video into: Instagram-ready, Square, 15 seconds; and the standard Lomotif format of dimensions 16:9, and 30-second video that is perfect for uploading to Facebook or Youtube. But the x-factor of Lomotif is definitely providing the “simplest way to add music to your videos”. The team has ever so smartly made an iTunes affiliate partnership, which can allow users to choose from millions of songs in the iTunes database, and safely use the 30-second music preview without fearing an infringement on copyright. 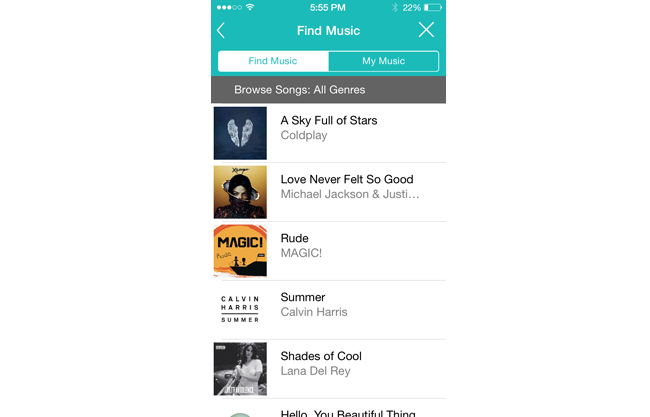 Users can also browse through their own music in the iPhone and choose a 15-second or 30-second segment they want to use from their favourite song! Lomotif is designed to create videos quickly without the hassle of editing the start and end point of the video tracks. Therefore, the time frame to crop each individual track will be determined by the number of videos added onto the timeline; and an equal slice of video will be taken out from all the videos. 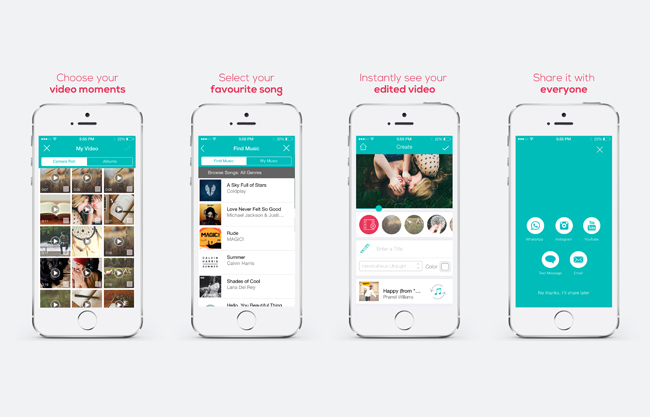 As many as 13 video clips can be used for the self-produced music video on Lomotif! Just like getting a slip of well wishes from a fortune cookie, Lomotif will surprise with the end result of the edited video. The Lomotif can be used on both the iPhone and iPad and the other luring feature is that there will be no compression after the video has exported for iPhone 5 and iPhone 5s users. But due to performance limitations of the iPhone 4 and iPhone 4s, a slight compression would occur if filters were used in the video. Though currently only available in the Apple App store, Lomotif will be bringing Android users the good news soon! Lomotif’s update 1.1 newly introduced four filters for users to put over their videos and they are: Paris (faded), Mini Me (dreamy), Grayscale Chain (black and white), and Richie Rich (contrast). The update also includes Simplified and Traditional Chinese localisation in consideration for Mandarin speakers. The team will be providing more creative features in subsequent updates like the possibility of allowing users to select the starting point of music for Instagram, and moving the position of the title in the video. Check out Lomotif‘s examples of their own videos here. Also read: Singapore Memory Project’s Latest Campaign Video a HUGE Hit. Writer’s note: It is advised to film your videos in landscape mode if you intend to use the Lomotif for editing, and exporting in the Lomotif-format video, as the application automatically adds black sides to portrait videos. If you select the Instagram option of squaring your video then you don’t have to worry about the black sides!